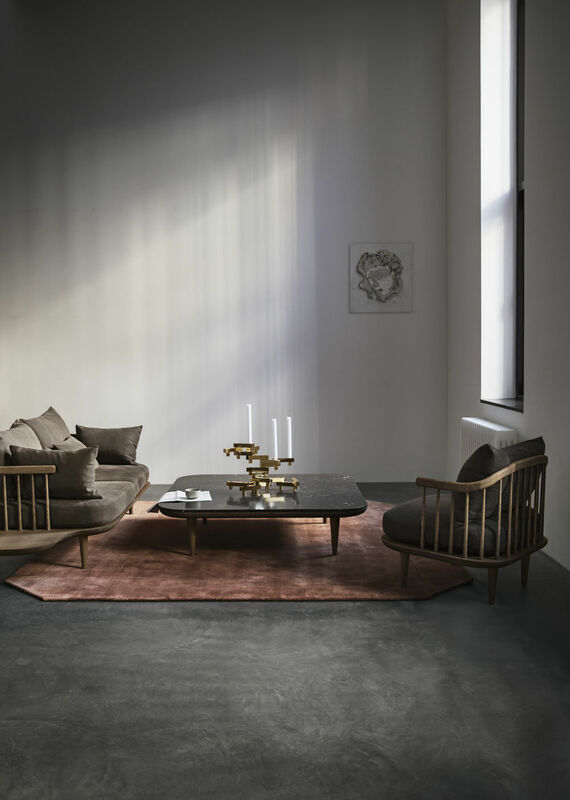 The Fly Series by Space Copenhagen is a lounge collection made up of two sofas, an armchair, two tables and a pouf. Pushing the idea of lounging to its fullest, Fly is a series that allows the user to sit, lie, rest, and relax. 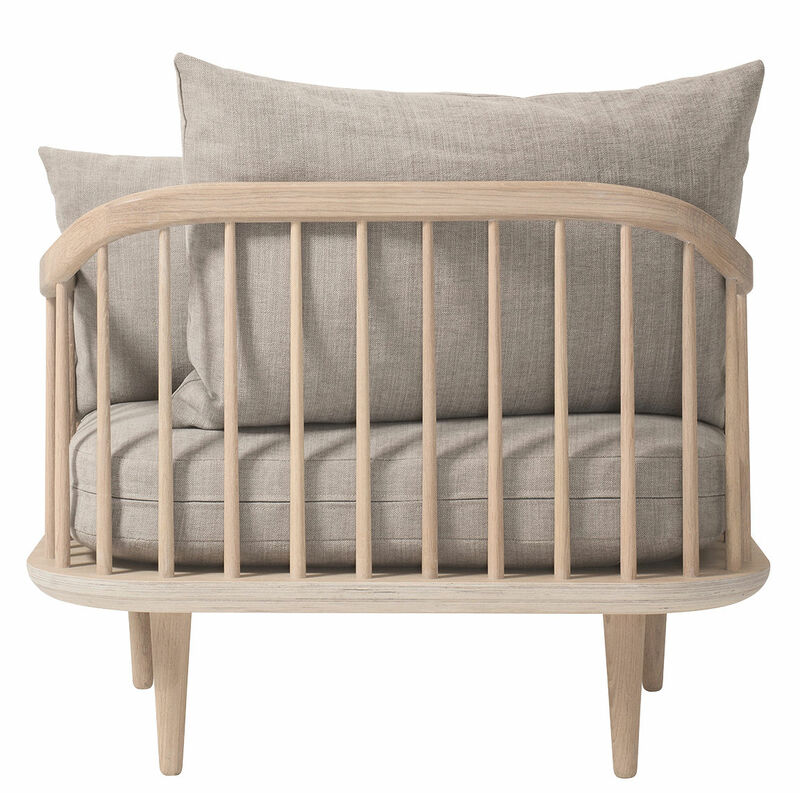 Unlike many of the sofas and easy chairs in Scandinavian design history, Fly does not impose any particular posture onto the sitter. The seat itself is optimised for comfort, with loose cushions for the back that can be arranged according to the user's own needs. 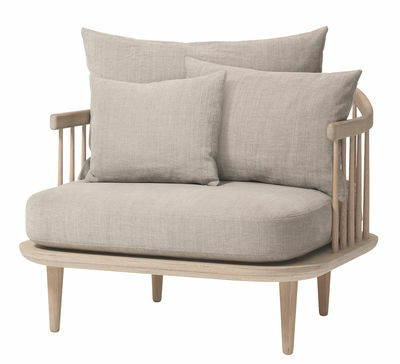 But Fly adheres to tradition in other respects, the frame of the sofa and armchair, with a slatted back rest, is made from solid oak, treated with white pigmented oil or smoked oil. It is the type of material and treatment that ages with true grace, only becoming more beautiful with time. 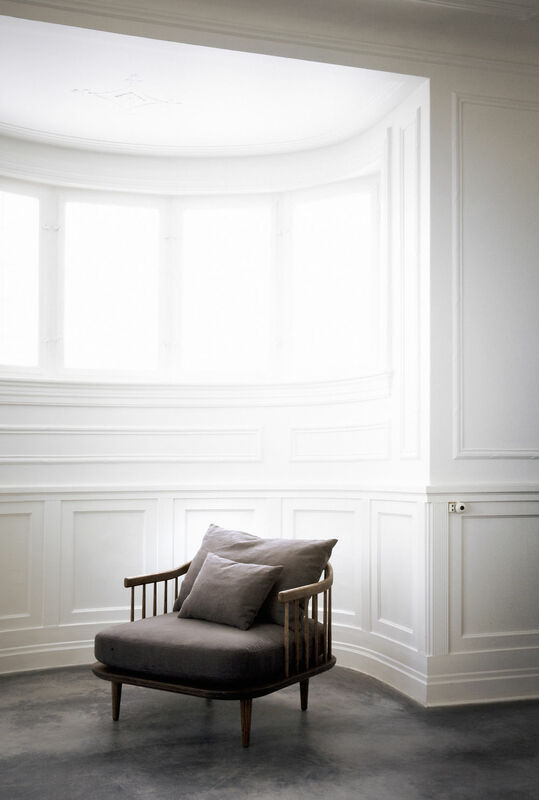 Space Copenhagen gathers much of their inspiration from travels abroad, often in the form of ambience and mood. An example could be as simple as a particular wall in the streets of SoHo, New York, the distressed look of which makes its way into Space Copenhagen's imagination.